If you work long hours and don’t have the energy to cook a hearty meal, here is a wonderful crock pot recipe. 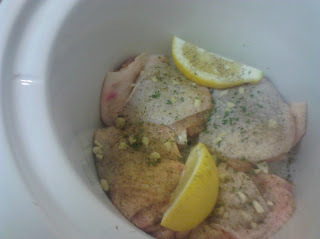 The beauty of a crock pot is it simmers the juices together almost magically giving you a succulent and delicious meal. I recently found a cookbook on using crock pots and figured I would give it a try. I’m glad I did, because the meals come out tasting really good. 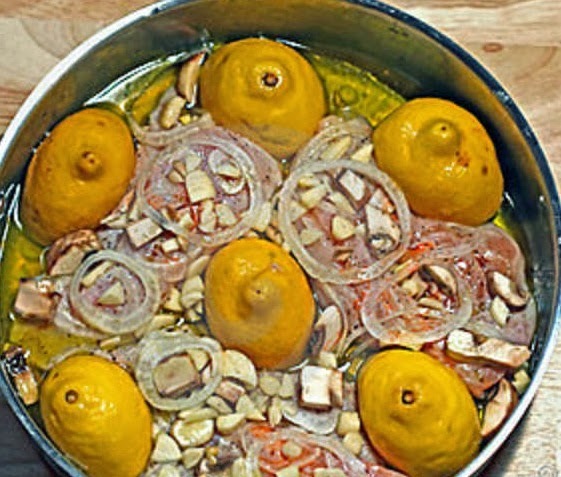 The lemon chicken in this recipe is tender and juicy. You will be surprised like I was, at how easy and tasty your meals can be using a crock pot. This saves you time and energy from cooking after a hard day. So relax and enjoy a home cooked meal. 2. Rinse chicken and pat dry with paper towels, remove and discarded any excess skin or chicken fat. rub the cavity with some of the poultry seasoning .place the lemon halves and garlic cloves in cavity. Rub the the skin with remaining poultry seasoning. Place the chicken in the slow cooker. drizzles with olive oil. Sprinkle liberally with the pepper and parsley. Yummy! 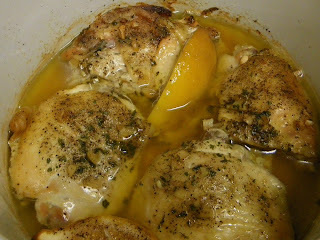 It is clear to see the lemon flavor being absorbed by the chicken! I'll have to try this. I've been making more chicken lately but don't always know what I want to do with it. crock pot is the easiest to cook in! we will need to try this. Another good crock pot recipe. I LOVE my crockpot. I use it all the time. This recipe looks great. I'll wait until winter, though. Looks great .. I will book mark this for a great crockpot chicken recipe. Thanks !! This sounds delicious. I think I will make it tomorrow for dinner!